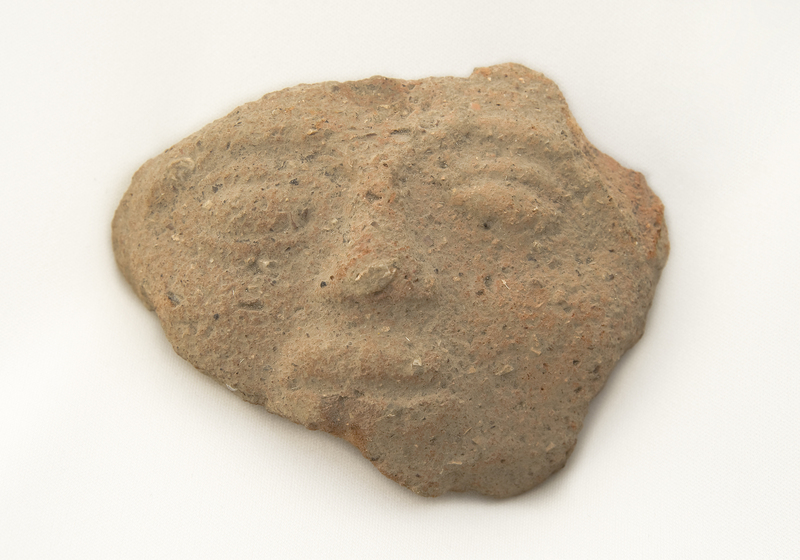 Description Antefix head. The reverse side is indented forming a concave profile and preserves slight finger impressions near the center behind the left cheek. The obverse side preserves a human head with raised almond shaped eyes outlined by raised lids. The nose consists of a raised triangular section of clay including a bridge which continues into the line of the eyebrow. The lips are formed by two thick protruding lines of clay of equal dimensions, slightly parted. The cheeks are subtly molded. No paint visible.